The U.S. National Commission on Mathematics Instruction in collaboration with the University of Helsinki held a Workshop on Supporting Mathematics Teachers in the United States and Finland in 2016. The bilateral meeting of U.S. and Finnish mathematics educators was held August 1-2 at the University of Helsinki in Helsinki, Finland and was attended by 30 experts from both nations. The workshop was sponsored by Åbo Akademi University, Högskolestiftelsen i Österbotten, the National Science Foundation, and Svensk-Österbottniska samfundet. The National Academies' Workshop Summary report is NOW available here (in PDF format for download). Videos of the workshop sessions, presentations (in PDF format for download), and background readings are ALSO available here. It does not seem possible that in a just over a month (38 days) we will open NCSM's 50th Annual Meeting. Our all-volunteer NCSM membership is working hard to make this a conference to remember. This annual meeting is different from any that has happened before in so many ways. Below are the highlights of what YOU CAN do to participate in the conference this year, even if you are not able to be there in person! Students from all of the nine NCSM regions are providing the artwork for our decorations. Please involve students from your districts and schools. I believe that mathematics connects well to the arts and it is a great time to show what your students can do. You can find more information on our website and the left column of this eNews. We have a day in the program where we are inviting Administrators to join us. Wednesday April 25th will have special sessions designed to increase awareness around mathematics and how to build a strong mathematics team. 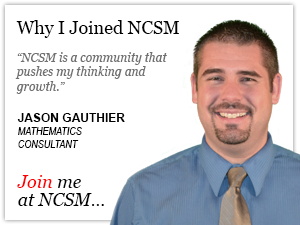 Leadership in mathematics is important at every level. You can invite an administrator to join us to learn more at the PRIMED Principal: Champions of Mathematics Series. You can extend your professional learning by attending one of our Pre-conference sessions on Sunday, April 22. For more information, click HERE or read below. We have some valuable sponsors that support our program in so many ways. These sponsors help us keep the registration costs as low as possible. You can visit their booths, look at their products, and ask questions. Each of you have the expertise to determine if the teachers and/or students in your districts could benefit. This year there are many new sponsors and some returning sponsors all in one place to help you in your search. 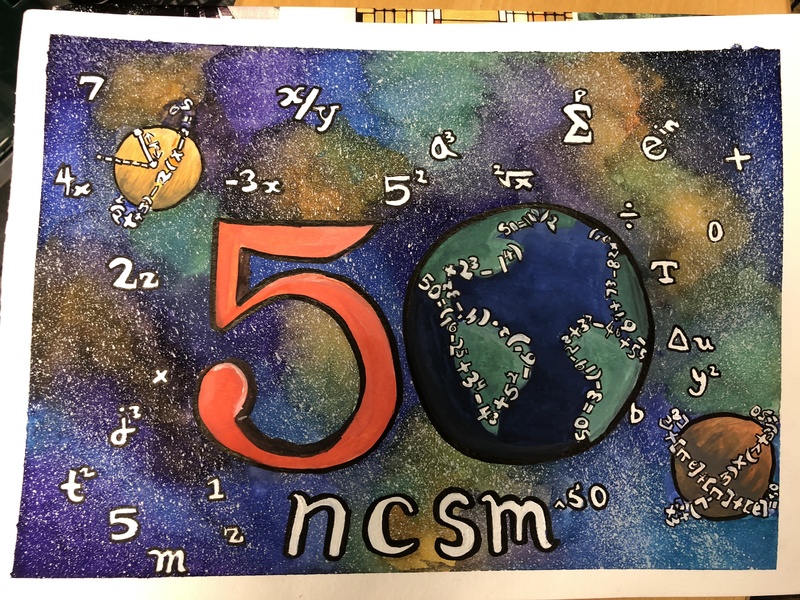 We are having NCSM: A Musical Tribute, created by Carole Greenes (NCSM President during our 35th Anniversary Celebration) and friends, to celebrate 50 years of service to the mathematical community. I cannot even imagine all the hours that they have put into rewriting the lyrics to favorite songs. You can join the chorus or simply come watch and enjoy. Contact Carole if you like to sing and want to join in on the fun. You can make a 15-second or less video to congratulate NCSM and tell our other members what you remember, like, or learned from our organization. Just go to https://flipgrid.com/11578f and follow the directions provided in the previous eNews. Next, we have new publications. Every member attending the conference will receive a copy of the new monograph, Fifty Years of Leadership in Mathematics Education: Where Do We Go from Here? The authors will also entertain you with a special ignite session on Tuesday morning to give you a preview of their ideas. You can read the monograph and possibly attend their session. We also have two new position papers that will also be in the conference bag and I will provide more information on those soon. If you are unable to join us, you can purchase the monograph after the conference. We have sold out of tickets for our 50th Celebration event off site at the National Geographic building. The entertainment at this event will be Under/Over 50 and I am sure you will hear great things. Maybe even see a clip or two. The gift that night will be a booklet with the historical update about NCSM. In addition, on Tuesday, you can purchase a copy at our bookstore. The NCSM bookstore will be hosting many autograph sessions where you can have publications signed. This is the first year to have busses and multiple hotels that need transportation. You can help NCSM to keep future costs down by staying in our conference hotels. It is important that we meet the quotas required of us at each hotel. Washington D.C. is both an expensive location and a vibrant city with so many significant features. There is still time to make plans to join us. You can do so much and NCSM will continue to work to support our leaders as we seek to inspire high quality mathematics teaching and learning every day for each and every learner. Rooms are still available for the conference. Act soon as conference rates are available for a limited time. Make your reservation at the Washington Hilton. Make your reservation at the Loews Madison Washington D.C., a Hilton Hotel or call in reservations, please dial 1-855-325-6397 and refer to code NSM 420. Pre- Registration has been extended through March 30. Gather your colleagues and administrators and join NCSM as we celebrate 50 years of history and pave the way for the next 50 years. VOL__NTEER - The only thing missing, is U! Volunteer to be part of the NCSM 50th Annual Conference. Sign up today! More information will be available soon HERE. We are excited to be hosting this coaching theme for our Summer Leadership Academy. We hope you are, too, and that we will see you in Colorado at the end of July!